Actually, it’s not so annual, cause this is the first time I’ve done it, more or less. I started this blog in January 2012. Just three years ago. I really didn’t know what subjects would be my focus, but it was science generally. I kind of wandered around for the first few months, before I think I hit my stride with vaccines, junk medicine, evolution (though I really need to move back into that area), and other things that captured my interest. In January 2012, I had precisely 262 page views. For the whole month. I really thought “why bother.” For 2012, I had 184,000 page views, which still made me wonder if the effort was worth it. In November 2014, I had over 278,000 unique page views, meaning I did more in November than I did in all of 2012. For 2014, I had nearly 1.2 million unique page views, which meant this website is ranked 278,000th in the world. OK, that sounds terrible, except that there’s 1,200,000,000 (1.2 billion if you hate counting zeroes) websites on the interwebs as of this moment. So this blog ranks in the top 0.023% of all websites on the internet. It’s no Facebook or Amazon, but then again, I have reach goals for this blog, and those aren’t it! My goal is to provide scientific evidence for science and medicine, while doing the same against pseudoscientific myths and memes that are popular on the social networks. I do it with my style–take no prisoners, and use the highest standards of evidence. 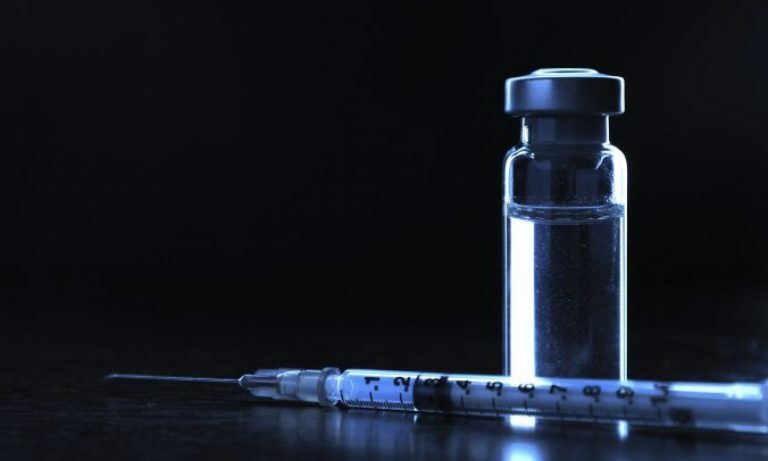 I refuse to accept a cherry-picked study that supports an a priori conclusion, when the scientific consensus, based on a mountainous body of evidence, is a formidable fortress of knowledge. I seriously get frustrated when people think that their opinion somehow trumps the scientific consensus. Or that they think they can lie or intentionally abuse data to fit their “beliefs.” Climate change deniers. Evolution deniers. Vaccine deniers. GMO deniers. HIV/AIDS deniers. All use the same methodology to make their points. Whining about so-called problems, based on nonsense and ignorance. Depending upon false authorities to “prove” that the denier point of view deserves respect. Finding the one study that is an outlier, and ignoring the mountains of evidence supporting the scientific consensus. Providing false-balanced presentations that make it appear that there is really a debate. Using personal attacks and conspiracy theories to attack the character of thoughtful and intellectually superior science supporters. If it weren’t so dangerous, we’d laugh at these people. Well, I still mock them, but I know they are dangerous lunatics. Fabrice Muamba receiving emergency treatment on field. No, it’s not how the UK is getting our bad reality TV. We actually stole that from the BBC. No, it’s not religion becoming a part of the political discourse. Oh wait, here we go. 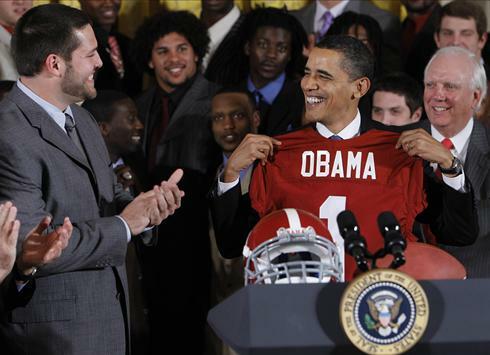 Obama receiving an Alabama jersey after honoring Alabama for the 2011 NCAA Division 1 football championship. Of course, it was followed by a Muslim prayer.